With the increasing demand for the games like PUBG and Fortnite, we might see 'Call of Duty' making its Mobile debut. Touted as one of the best-selling video game series of all time, the battle royale game is finally making its way to mobile devices. According to the media reports, Activision officially approached Chinese game publisher - Tencent to introduce the game - 'Call of Duty: Mobile'. Currently, the game is in the Beta state that will be made available on Android as well as iOS smartphones. Online Gaming Addiction: PUBG Mobile Imposes A Digital Lock Ban on Users Below 13 Years of Age in China. To be released as free-to-play, the game will feature maps, modes, weapons as well as characters from the Call of Duty franchise. Moreover, Activation has officially opened pre-registrations for the mobile version of the game on Google Play Store. The interested gamers can pre-register the game to experience the new Battle Royale game on Mobile. The game brings multiplayer modes such as Free4All, Search & Destroy, Team Deathmatch and Frontline as well as a zombie mode for bot-based single player. 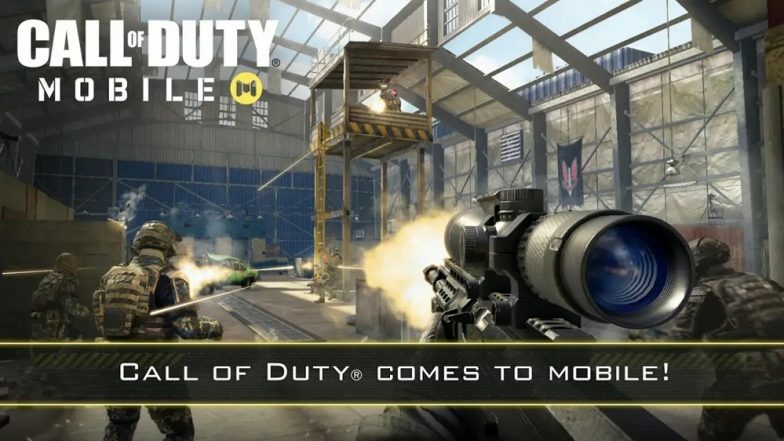 Chris Plummer, VP of Mobile at Activision said, “We are delivering the definitive, first person action experience in a new mobile title with incredible graphics and visceral Call of Duty gameplay”. He further mentioned that, “Together with the amazing team at Tencent, we’re bringing together a collection of the most beloved maps, competitive modes, familiar characters and signature weapons from across this storied franchise into one epic experience for the first time on mobile.” Cheaters Beware! PUBG Aka PlayerUnknown's Battlegrounds Using Machine Learning To Detect Cheating Attempts. The company has also specified in the FAQ section of the site - CallofDuty.com that they will be hosting several pre-launch betas in the coming months. However, it is believed that the beta might be introduced on Android platform only. Though there is no official release date announced from the company, the game is expected to be released on Android and iOS smartphones later this year.